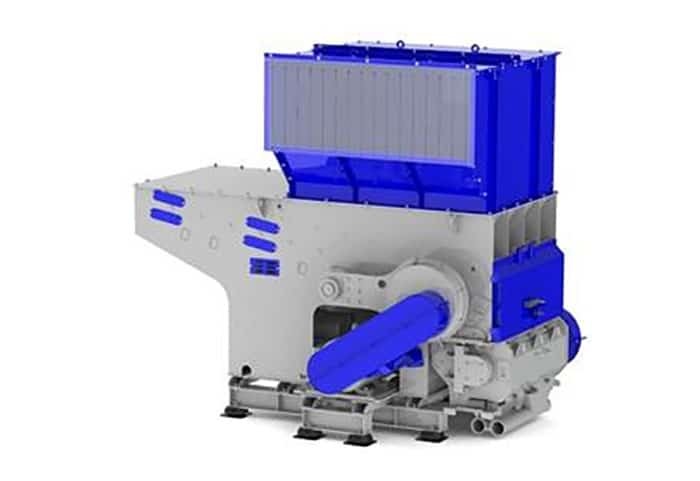 The ZERMA ZCS shredder integrates leading shredder and granulator technologies into a single compact package. 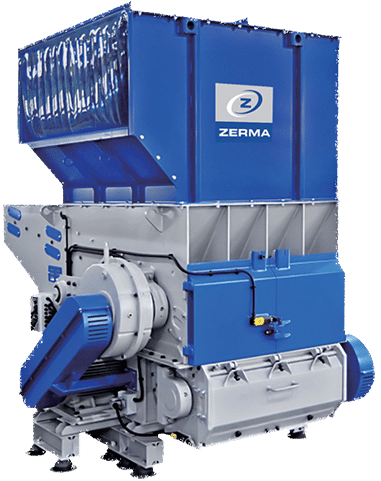 Combining the proven design and high torque of the ZERMA single shaft shredder with a highly efficient granulator, ZERMA is able to provide a reliable, compact size reduction system. The shredder and granulator are individually driven allowing for better control of the complete process. Shredder and granulator are individually driven allowing for better control. A ZERMA Smart Drive system us used to constantly monitor the load and adjust the current accordingly. Reduced power consumption compared to individual shredder and granulators. Combined electrical power of less than 50kW.